Exclaimer Cloud – Signatures for Office 365 is the premier cloud service for centrally managing Office 365 signatures. It provides the same benefits as Exclaimer’s server-based email signature software, but works exclusively within the Microsoft cloud environment. The product architecture uses revolutionary technology that truly makes it the next generation of email signature management services. 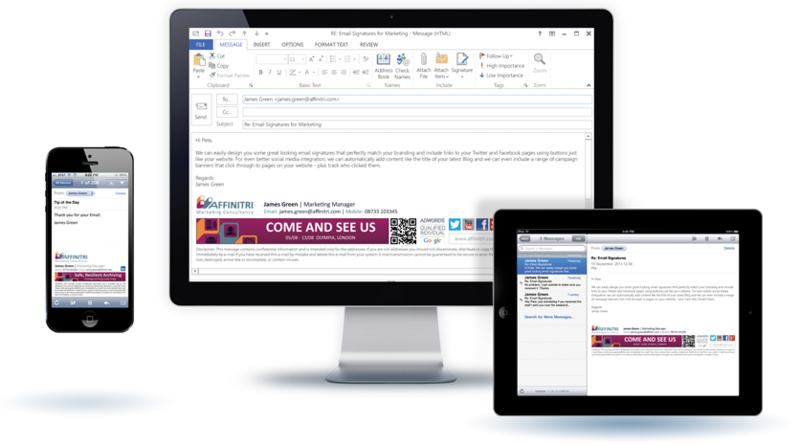 Easily add additional email signature elements like social media icons, promotional banners, legal disclaimers and more. Email signatures are ‘stamped’ by Exclaimer’s regional Azure servers, passing email messages back to Office 365. All you need to do is design a signature you’re happy with and we do the rest.